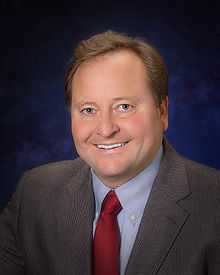 Brian David Schweitzer (born September 4, 1955) is an American politician who served as the 23rd Governor of Montana from January 5, 2005, to January 7, 2013. Schweitzer served for a time as chair of the Western Governors Association as well as the Democratic Governors Association. He also served as President of the Council of State Governments. We can push Montana forward and we can do it with out raising taxes. The big guys, the big dogs, are going to own everything from the White House to the courthouse. I do feel a lot more comfortable when my dog is with me. I challenge you to be dreamers; I challenge you to be doers and let us make the greatest place in the world even better. Good ideas are the backbone of good government. I don't know a single Republican in Montana who would get in a fight in a bowling alley for John McCain. You can't pay for healthcare if we're sending a trillion dollars a year to dictators. We work for the families back home, we do not work for the lobbyists that prowl the halls of the capital building, do not forget who we work for. I know that Montana is the greatest place in the world to raise a family, to start and grow a business. You know it, and I know it and now we will tell the world.